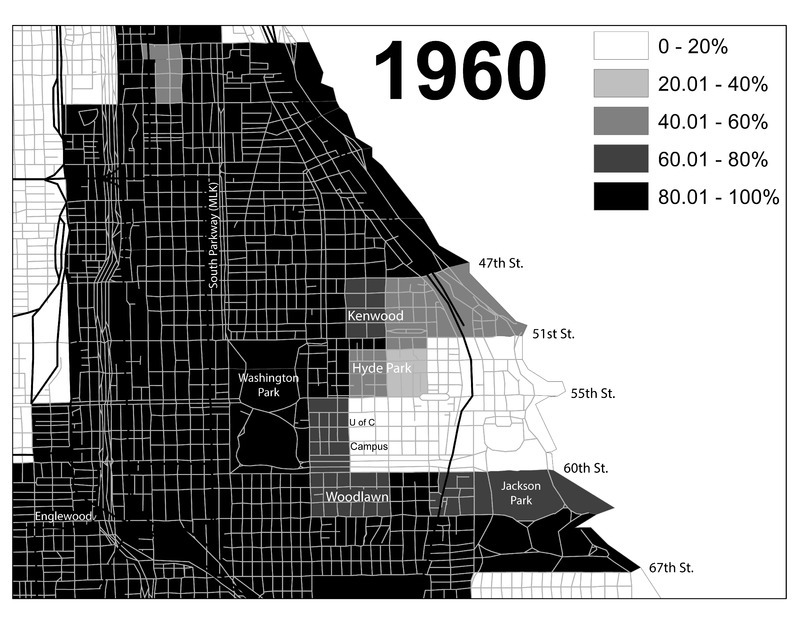 These two maps for the south side of Chicago illustrate the stark color line separating the Black Belt neighborhoods from white neighborhoods in the city. How did segregation become an issue in northern cities? At the end of the nineteenth century, African Americans mostly lived in the rural south, the legacy of slavery and the cultivation of cotton. At the end of the century, African Americans from the rural south began moving to cities – first in the south, then the north – to seek economic opportunity and escape Jim Crow segregation. They traveled to northern industrial centers such as New York, Philadelphia, and Chicago. This movement is known as the Great Migration. 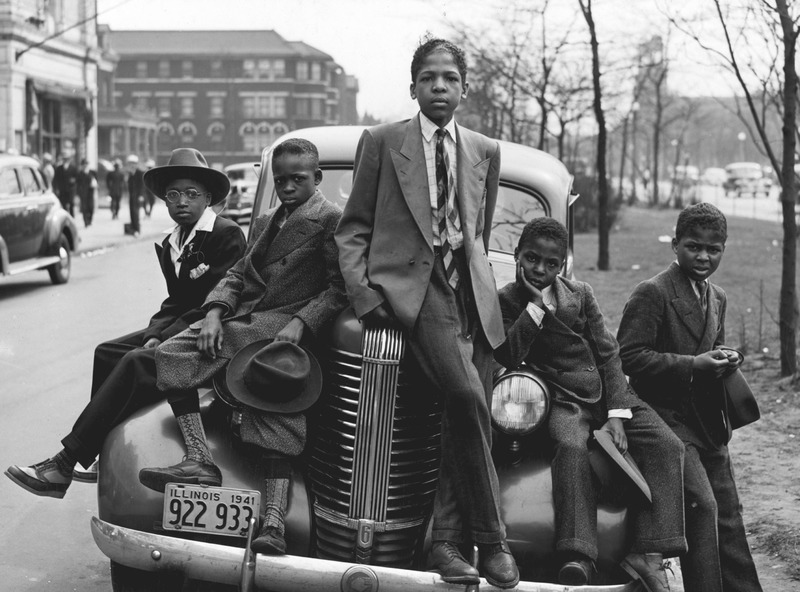 When African American migrants arrived in northern cities, they found a different kind of segregation than that they had left behind. They were typically restricted to black neighborhoods, not allowed to buy houses in white neighborhoods, and threatened with violence by white neighbors if they tried to move into white areas. Cities at the beginning of the twentieth century often had tightly defined ethnic enclaves. Residents of one ethnicity would live in a homogeneous neighborhood with people from the same country. Over the middle decades of the twentieth century, those ethnic identities became less important, while racial identities became more important. 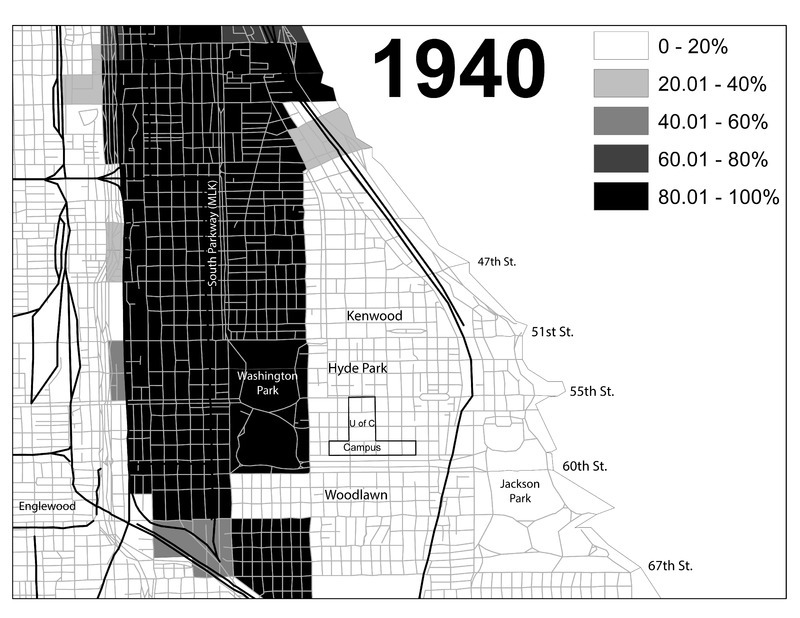 Segregation along racial lines became more stark and forceful.